This July, expect great meat, craft brews, and a cure for the daily grind at LOUNGEsix, the rooftop terrace atop Hotel Solamar. 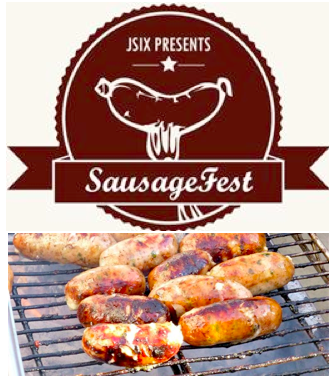 On July 16 from 5:30-8:30pm, celebrate the start of summer with Jsix Restaurant when the annual San Diego Sausage Fest returns, as ten of the city’s meat masters will attempt to cut the competition for rights to the best sausage in town. In this outrageous cook-off, chefs will enter and prepare their favorite sausage recipes, from the unique to traditional, and present to the public for a winning vote. See who will be burnt in the pit and who will smoke the competition. This year’s 10 chef roster is still being decided, but considering last year’s line-up, the competition to win 2014’s Sausage King title will be fierce. Despite the innocent rivalry, the purpose of Sausage Fest is really to encourage a sense of community and camaraderie among local chefs. In addition to the cook-off, San Marcos brewery Lost Abbey will release their “The Road to Helles,” a classic straw-gold German lager. 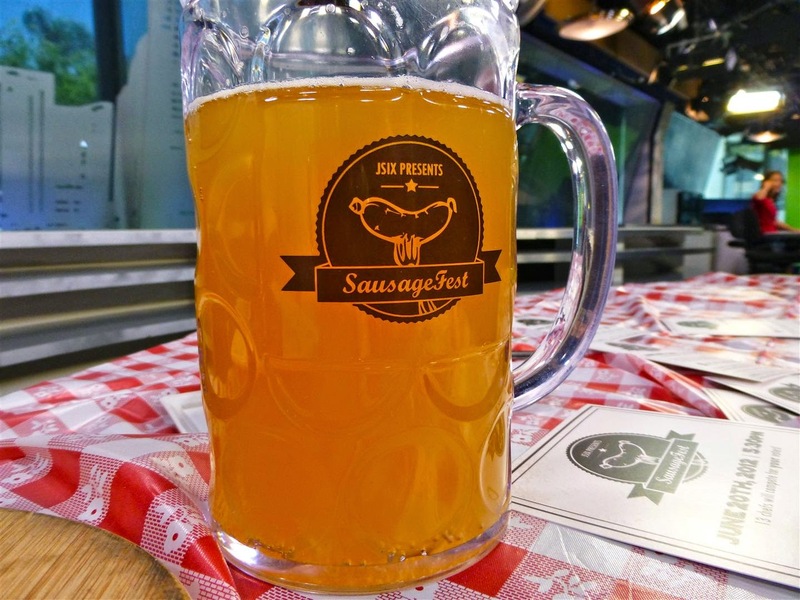 Festivalgoers can get tastes of all sausage for $10, while 1-liter take-home steins full of Lost Abbey beer will be available for $20. There will also be live entertainment by The Tighten Ups. Sausage Fest is open to the public and will be located at LOUNGEsix at 616 J Street, 4th FL - downtown San Diego. For more information and to purchase tickets, visit sdsausagefest.com.